How Long Can I Stay in a Short Sale House Without Moving? Can You Send a Notice to Vacate When You Buy Property? A short sale allows struggling homeowners the opportunity to make the transition into more affordable housing while bypassing foreclosure. In a short-sale transaction, the homeowner must gain permission to sell for an amount that falls short of what he owes his lender. Lenders and buyers may place limitations on how long the seller can stay in a short-sale house before moving. The timeframe for lender response on a short-sale deal can be anywhere from 30 days to several months. Short sales that drag on for more than one year are the exception but not the rule as of 2013. A homeowner may want to stay in his home for the duration of the short-sale process -- or as long as possible -- to avoid displacing his family, the hassle of moving or to save money. Most short-sale homeowners stop making payments before initiating the sale of their home due to financial hardship. Although a homeowner can maximize his stay in the home with a short sale, he also remains responsible for the the day-to-day care and expense of the property. He is still responsible for loan payments and the lender may attempt to collect payments during the short-sale approval process. He must keep up with the utility bills, property taxes and homeowners association dues. Once approved, the lender usually agrees to cover taxes, but not unpaid utilities or HOA dues. 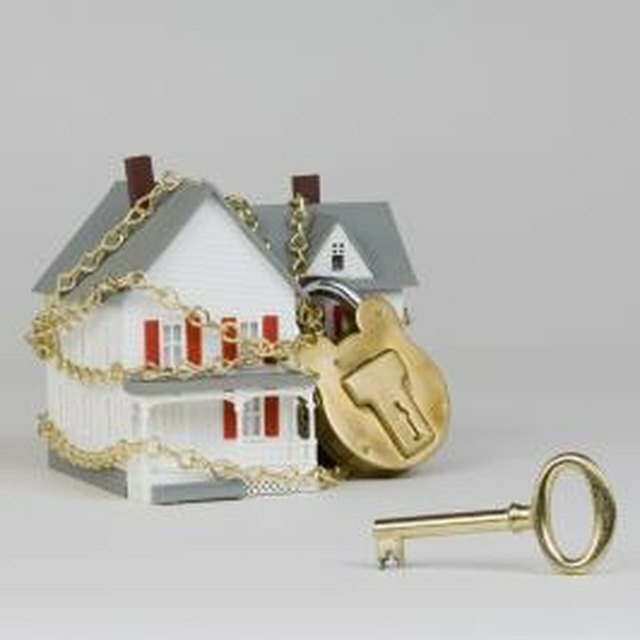 A homeowner and buyer may negotiate a specific amount of time to move out after the close of a short sale. The sales contract typically outlines these parameters, but the lender must approve these terms. A lender may also require the homeowner to move out on the day of closing or before to ensure the homeowner does not remain in possession of the home afterward. When a deal exists for the homeowner to stay after the close, a separate contract specifying daily rent costs and a move-out date is usually drafted between buyer and seller. What Do You Do When Your House Is Sold in Foreclosure? Tenants in a short-sale property can negotiate with the new owner of a home to honor their rental agreement. They may also have protections, such as a minimum amount of notice due when the property is listed for sale or after the sale is completed so they can move with plenty of time. The laws surrounding tenants in short-sale situations vary by state and legal aid is available to provide information on those rights. In some cases, lenders collect rent directly from tenants during the short-sale process and offer a cash incentive to move by a specified date, known as "cash for keys."